@MyDearWriter, the writer of the movie Nandito Ako, has had some interesting tweets lately. We’re getting hints…sort of…that keep us guessing what Josh (aka David) will do in the movie. So it got me thinking…if I was the writer, what kind of scene would I write for David? The sky is overcast (great lighting for those lovely hazel eyes). David is walking toward a street corner in the city, singing “My Kind of Perfect”…the leading lady is walking toward the same street corner from the opposite direction. “is she the one, is it today, will I turn the corner, see my future in a beautiful face?” As they each round the corner, they nearly run into each other. They stop, David apologizes. She smiles, he smiles…they say goodbye, walk past each other around the corner. David is singing again; they both stop, turn around, walking to the street corner again….each hoping to sneak a glimpse of the other. They peek around the corner at the same time…face to face…David is singing “maybeeeee”….ah, I love happy endings! So, what kind of scene would you write for David? 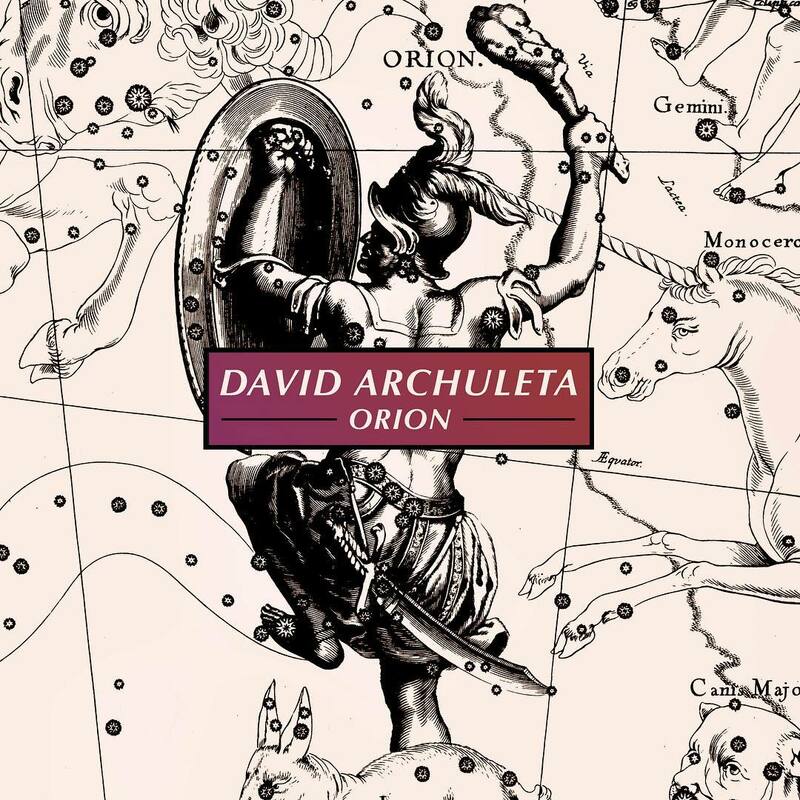 This entry was posted on Friday, January 27, 2012 at 3:49 AM	and is filed under David Archuleta, Nandito Ako. 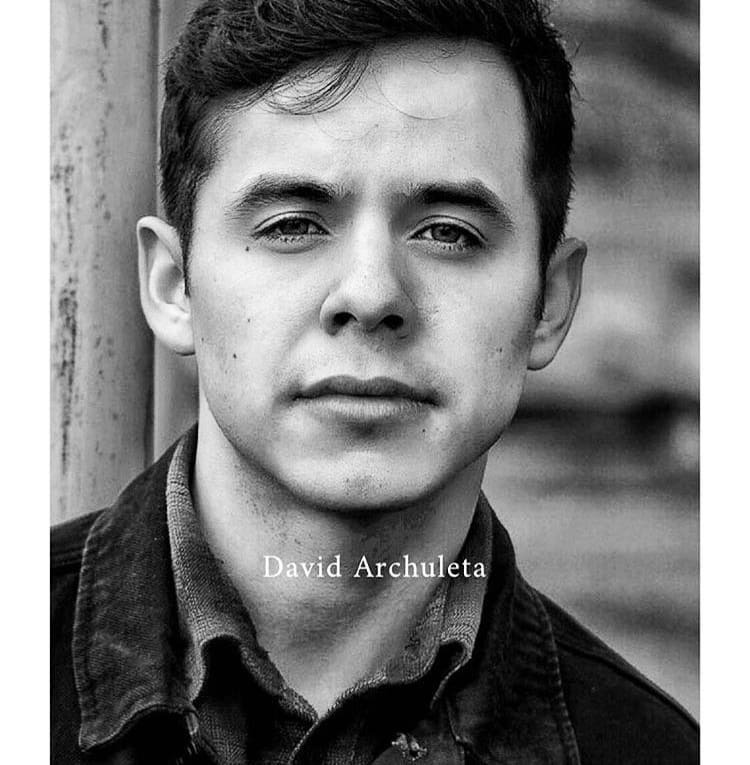 Tagged: David Archuleta, The Voice Screenwriter's Guild. You can follow any responses to this entry through the RSS 2.0 feed. You can leave a response, or trackback from your own site. 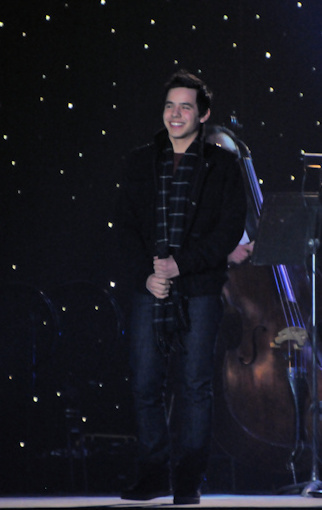 If truth be told- @DavidArchie is super cute today. As in he looks extremely gooood! I’ll update as I find things. #3- Dude reminds me he can sing, too. #4- Is this the same dude from #1 and #3? I have been feeling lately like somebody’s rag doll that gets pulled here and there and everywhere. Is there a doctor in the house? That’s all I can say right now….. I am afraid if I hear NA today I might not survive. The mall show is today isn’t it? I like your ‘scenario” Paula. 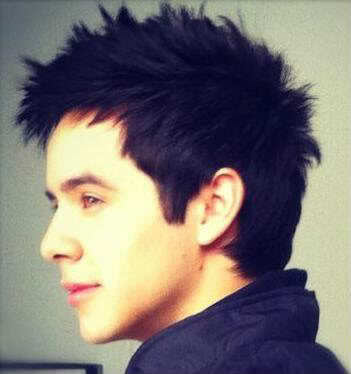 :)) nothing more fun and wonderful,then thinking about a “lovestruck” David ♥ finding his kind of perfect. #1 leading man, hunk ,a face made for the big screen, thas all thud..
Everything is soooo worth it! Every single sleepless night!!! “@candicerose13: “@MyDearWriter: OMG!!!!! I just saw it! (fainted) Sooo proud.”–its u already! !” -I KNOW RIGHT?! It was amazing!!!! It was a moment of ‘kilig’.. RT @MyDearWriter: Wagas na wagas! 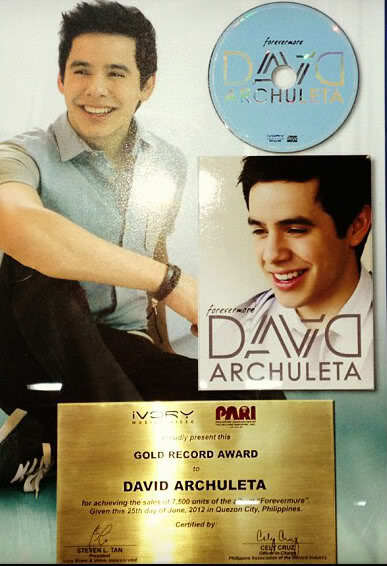 I am soooo proud of @DavidArchie!! A lesson in Romance 101. Paula, great article!! Meeting his kind of perfect on the street corner while singing the song, I love it!! haha MyDearWriter is going to kill us all off with those mysterious tweets. But you know what they say … curiosity killed the cat, but satisfaction brought him back. Can’t wait to see this show!! And I have to say that I wasn’t a fan of the hairdo, but I think it does add a touch of mystery to his look in the photos in #1 & #3. Love the scenarios and all the mystery and suspense. I’m enjoying all the tweets pictures and teasers. Like MomJulee says: “I think @mydearwriter has a crush on David!! Later The Mall Scenes for real-can’t wait. OMG. You actually wrote an article referring to my tweets?!! OMG! LOL. Hahaha sure. I love David’s fandom. I told him that several times. I love how you guys love him. And by the way holy guacamole! 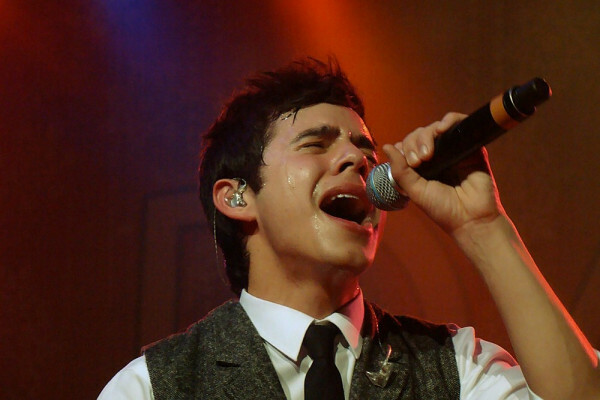 Mr. Archuleta wow! Wish I had some of it. Your scene would be ideal! @Mydearwriter is taunting us, teasing us and toying with us and I’m enjoying every second! Hahaha sure. I love David’s fandom. I told him that several times. I love how you guys love him.” Squeeeeeeeeeeeeee!!!!!!!! Paula, Love the scene you wrote. It’s very easy to picture Daivd in that scene,especially the singing part. I want a copy of that Josh Bradley poster for my bedroom wall. It could definitely help with those “dreams” David told us to write about. Of course, Hubby might not be quite as appreciative of the addition to the decor. Ok, so do we really have to wait until the mini-series comes out to find out what THAT thing he did was?! So many teaser tweets… it’s making my head spin! Everyone is saying how proud they are of what he did today…hmmm…obviously one can speculate. Please have someone be selling Josh Bradley posters. I remember that photoshoot. Who knew it would be so GAH? Oh, I guess we all did, didn’t we? in my previous comment, = 115 = I had a thought about Josh, maybe he could play basketball during some of the scenes Nandito Ako, or could play during breaks in the fimaciòn? I’ve seen some pictures, I hope to see Josh / David play for the miniseries, it would be fantastic. 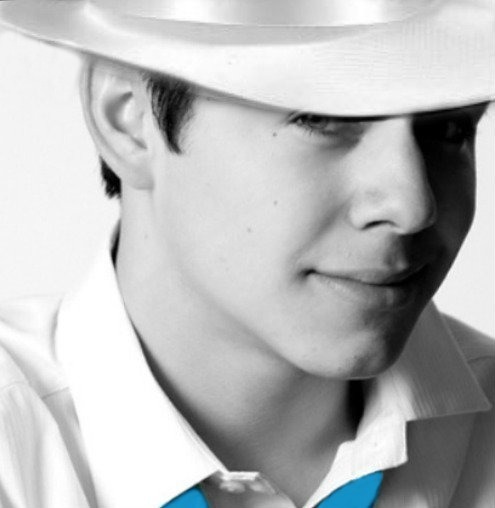 David Archuleta’s Official iPhone Application featuring news, music, videos & more! 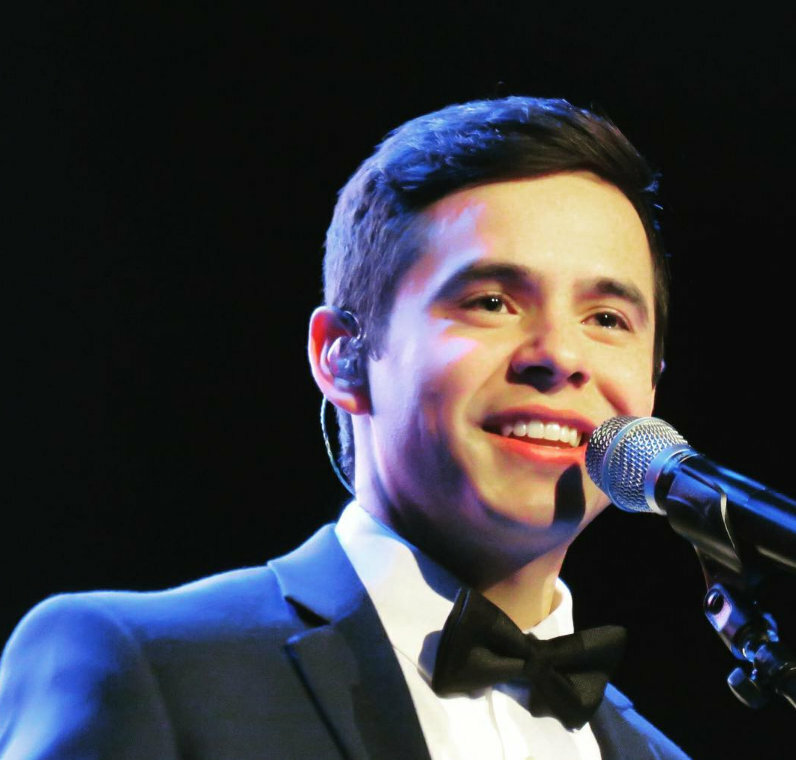 Also watch out for exclusive contests and messages from David. 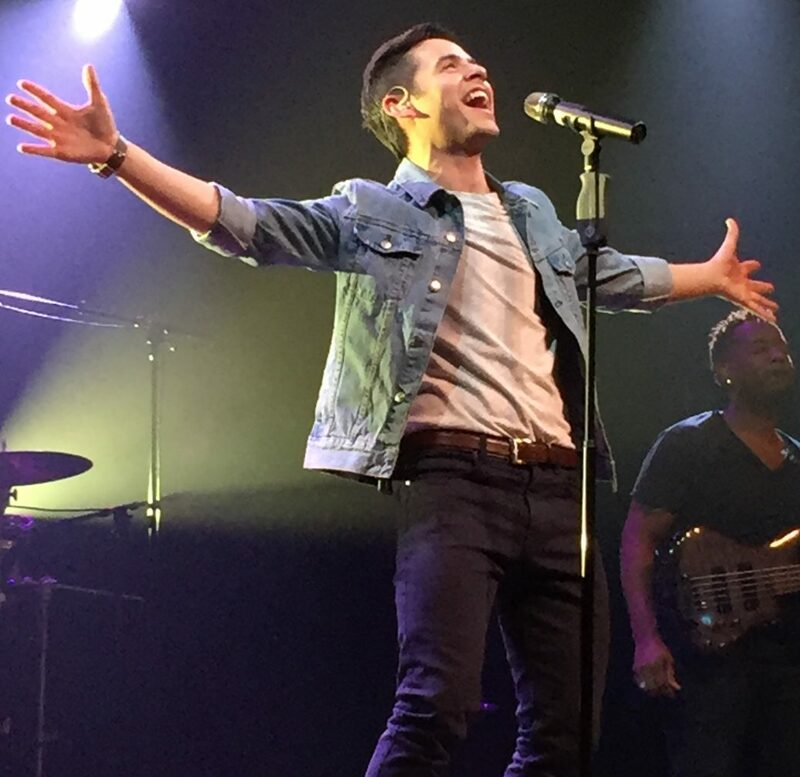 Be sure to download the app to get updates from David Archuleta on your phone like never before! I will forward all inquires to you, my dear . 🙂 I will be happy to assist you, within the limits of my knowledge. I now have the gorgeous David/ Elvis picture covering my whole desktop! 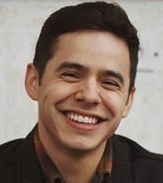 I know he’s in character, but its strange to see “serious” looks on David/Josh….sure hope we get to see that gorgeous smile of his in some of the scenes,yes? I’d like to see a scene with him running, with his ” love interest” on the beach, then they stop to catch their breath,watching the sunset, sitting in the sand. (I loved the Alcatraz video with the sun on his face)he could lean over, and draw a heart in the sand, and give her that “look”. excuse me, I think I need a moment. I wish I could say I’m being patient about ‘the THING’, but I’m really not. I wanna know now!!! Sky… ‘that look’ .. yep, we need it. Oh my Josh! So much to enjoy and appreciate. Sigh … sure makes me wish that I had “25 hours every day”, because I’d much rather have “nothing else better to do, than watching” everything that he does … I can’t get over how David’s different expressions can almost change his appearance which makes him just a natural for acting. So glad to see him having fun with his fellow actors. I feel spoiled with all the media exposure, teaser tweets, photo’s and videos provided by not only his fans but by TV5 network. The degree of support and media coverage has been just incredible … makes me appreciate TV5 that much more and upset at his old record label for so many lost opportunities. Sky; #24 … Yes, that Archugaze is a must … though I wonder how many retakes it took for his leading ladies to get their lines right, lol! Bianca; Thank you sharing your calendar ideas with us … would love to support you in any way! Ah yes, the Archugaze. Just one look. That’s all it took. Angelica #22 – Holy guacamole, when you made that picture bigger you can really see the blue shading of that shaven facial hair. He looks so much more mature. Angelica #22…oh my goodness! Or I guess I should say…oh my “Joshness”! Very interesting (and intense) comparison! 22.oh my!! eeek! my new desktop too Abrra♥ Beautiful, thank you angelica!!!! haha (good thing it wasn’t me trying to look at him….it would have been,. 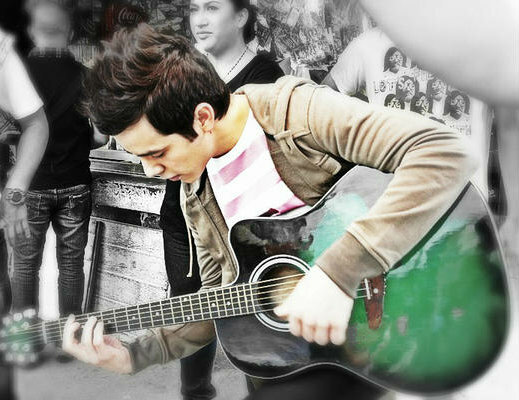 ” Nandito Ako,scene 4, TAKE 35!”jherfuiyoifjlsjpk! There is talk of a UStream of the 2 Mall appearances. This could mean another overnight at the computer. LOL I’ll post a link when I learn more. Ram 5, ROFL! I laughed, actually cackled, out loud! Pics 1 and 2…what can you even say, I mean puhlease! That poster, goodniiiight!! and is that a zipper on his pant leg! Angelica, wow! Went to Graceland a couple years ago and through the entire tour all I could think of were the continual similarities between the two. Kinda eerie really. Hello everyone , just saying a small hello from the land down under . Still here , enjoying the love fest between Josh/ David with the Pilipino fans . Can’t wait to hear the song ‘ Nandito Ako ‘ and see the mini series. Being a true blue/pink Pinay, I have the advantage of understanding everything that is being said about our David . 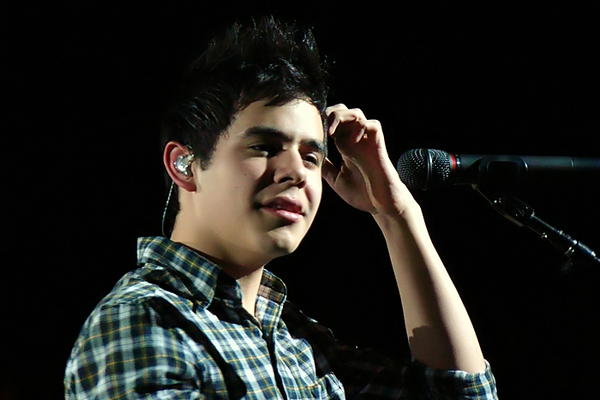 “Gets” nila si David Archuleta ( Pilipinos love David, they understand him). Pilipinos love our David from the tip of his hair/ eye lashes to the tip of his toes. “Kilig to the bones” ( body reaction when you feel happy/romantic), see the faces of the Pilipino fans, when they see David especially when he smiles. I am not good at writing but I will try my best ( David is good for my soul, keep me from thinking about my personal problems). Love all of these romance stories( I am a romantic at heart). But if you want a bit of laugh, visit snowangelz website , they have two story scenarios. Will come back later with my short story . P.s. Thanks abrra, djfan, angelica and bebe , just for being here. Also love the articles and all the commenters . Did I say , I will be here waiting for the THE VOICE. 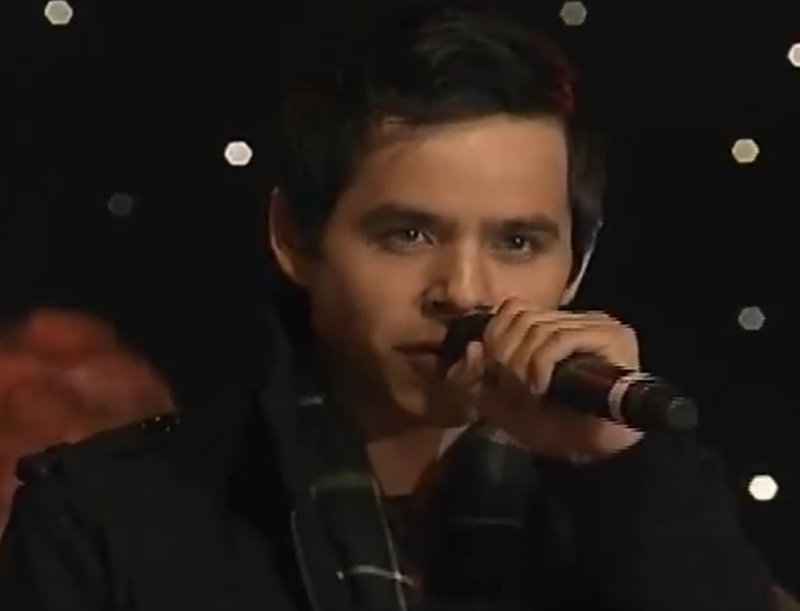 Kinikilig ako, just imagining David/Josh singing Nandito Ako in the full version . I have a slight advantage with you guys, only three hours behind Philippine time. So no late nights/ early morning. 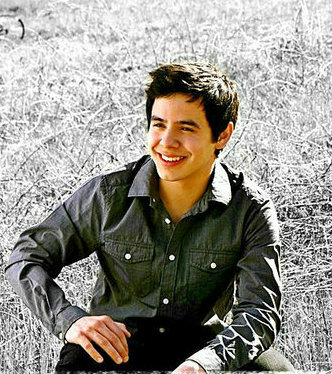 i really love the way david archuleta sings nandito ako!! the pronunciation, the diction, the phrasing!! i am a fan!! moved me to tears!! 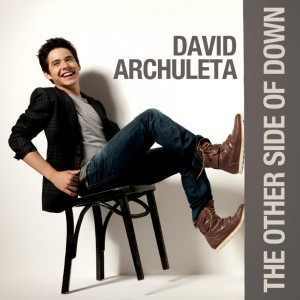 David archulata’s nandito ako really out a smile to my face. He is really a gifted singer!! 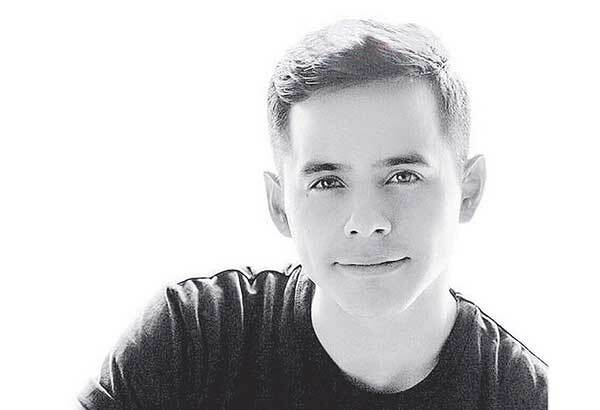 @DavidArchie Going to be at the SM Southmall around 1 PM, and then at the SM Mall of Asia around 3 PM today! Come by if we’re near you guys! And here is the UStream link. I plan to check in about Midnight ET and see what’s going on. And this from our UStream hostess! Angelofdja #33 ~ how much better can it get than to have those tweets from @ogiealcasid about David’s version of “nandito ako”?! No higher compliment could be offered. IMHO. Agree tawna2, high praise indeed…..eeek! Thanks angelofdja for bringing that tweet! #22 – right down to the sideburns. 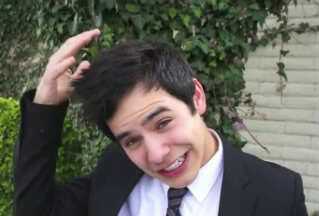 @DavidArchie enumerates tagalog words he is familiar w/: buhok, mata, kilay, tyan, kamay, tenga, dila, paa. Crowd reaction at mall show credit mykapalaran. Okay…… I’m freaking out now. As in breathless! LOL! I post random thoughts not related to the script, hahaha! I don’t even understand why I’ve been accused of killing fans… slowly. My tweets are far from lethal (but some made it sound like it’s a weapon of heart destruction!). Anyway- lovely site. Now I understand the meaning of that candle (I swear I’ve been wondering why most people have candles on their profile pic). Hmmm… now I’m thinking of putting one on my pic too… when David leaves for his mission. Note to self: Must not post bubble thoughts on Twitter. My Dear Writer: I TOLD you people liked your tweets. 🙂 Good to see you here. Off to work in the snow. You can watch recordings from last night’s Mall show here, click any video on the right side. David tweets some great news! He went into the recording studio after the mall shows. Maybe we will get the full song this week? 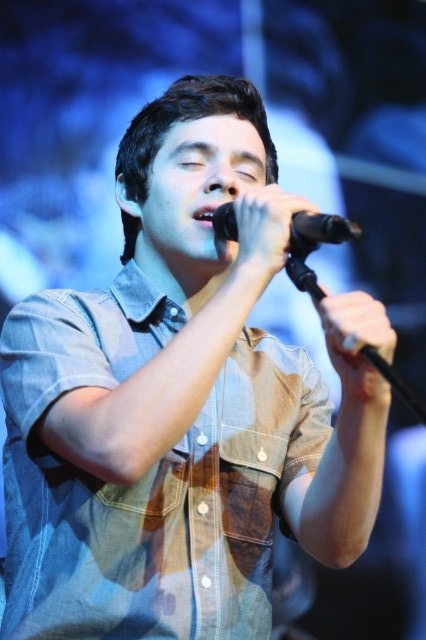 @DavidArchie Just did a final recording for the song “Nandito Ako.” Feeling a lot better about it! So great working with Jay Durias! He seems to have had some concerns? Seriously, David, you did a wonderful job on the preview! OH MY!! @nareejo is killing us! MyDearWriter, (in case you come back) I was just wondering … from your tweets you seem to really like David. Were you a fan of David before you started writing the script for him? Now it’s YOU who is killing me. Gahhh … those pics in 54 … whew … wow … cant think of anything else to say. haha He’s looking GOOD! The pics coming from Manila are unbelievable. I had no idea how much fun David’s trip was going to be. So grateful to all you ninjas bringing all things David to us. It is obvious you love your work. Always been a lurker, but love this site and visit everyday (ok, lots of times everyday, lol), but I needed to comment about the picture at #22,WOW!!!! the resemblance is remarkable and in my heart, I know David will be as big as Elvis was. He has it all in spades……….his time will come!!! I want to thank everyone here that will keep this fansite open while he is gone. Keeping the home fires burning is the most important thing for David, so that he can pick up where he left off and fly to the top with his singing career. This whole Manila thing is killing me. I can’t wait to watch this mini series. This may be perverse – but I want a sad ending. I want to see him cry so that I can cry along with him. I want lots of close-ups of a brooding David/Josh. Have you guys heard of the Asian Television Awards? It’s like the Emmys. I hope TV5 submit Nandito Ako for the competition. Maybe he could win the award for best actor! LOL. Fans are the lifeblood of The Voice. You help us to keep the fire burning when you comment. Abrra – I kinda love you. fenfan, wow, an Emmy! Wouldn’t that be amazing! Abs, 2nd welcome pic – TC, SLC. just had my daily dose. The pics, he is having the time of his life. Mydearwriter, so nice to see you here. Love your teasing tweets, keep them coming, and love your regard for David. Makes me so happy he gets to experience all this before he leaves. Just cause. It is beautiful. Oh, wow, thank you so much for that beautiful welcome, Abraa. Oh man,my scrollaphobia is coming back, have to proceed slowly and with caution…EEEEK! where did THOSE come from? 54.have mercy! (well, eating balut hasn’t affected his looks, he is still gorgeous!) nareejo, those are beauties! Abrra… there’s more?? I’m afraid to go look but I will anyways! We are loving your tweets♥ and are having so much fun,and you…are funny! Yes! that welcome card is really gorgeous:)) I love David in that pose,yikes! always have thought that whole photo shoot for TOSOD was the best ever. (we just need to find you an alias)….maybe several.hehe. 57.Cq. <<<hey those are my first and last initials:) love your comment , and hello! David surely keeps the fire toasty warm! well,guess you don’t need an alias anymore. Abrra can do magic…how could I forget?? slap me. Has anyone heard any more on the possible DVD availability of the series once its aired?? 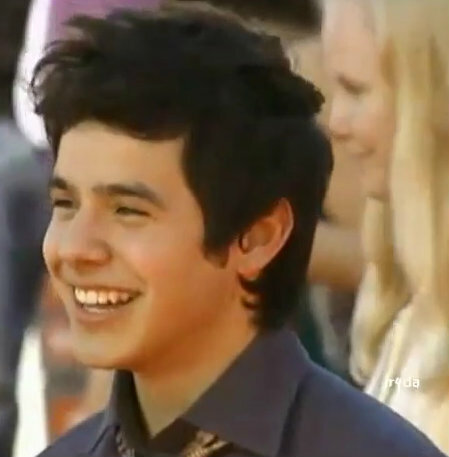 I hope David and his team know how badly his fans outside of the Philippines want to see him on TV and make it happen. Although I am so appreciative of fans who post on youtube, watching a video of the showed taped from the TV would be so disappointing. *fingers crossed* for something to come through. I’m having Internet issues 😦 finally able to get on and look at all the amazingness going on!!!! My Dear Writer welcome to our humble home 🙂 And those questions, no pressure lol. Glad to hear you noticed the candles, I wonder if David has. Abrra, bless you for getting every stunning picture and video posted! To the wonderful Philippinos thank you for all you are doing to keep the world of David fans connected. Oh my! 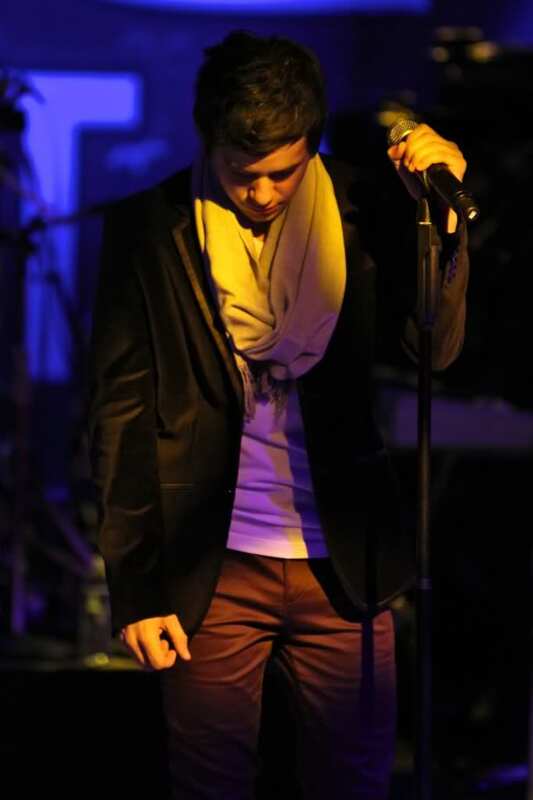 What gorgeous pictures…they just keep getting better…just like his singing! Thanks, Abrra for all the time and work you put in to make all of us happy! I stayed up after chat and watched David at both malls. Didn’t stay up for the autographs. Glad to see some closeup pics since some of the ustream wasn’t and sometimes it was kinda shaky. But it was so good to be able to see him in person! He should be as big as Elvis. He’s a lot better than Elvis was at the same age! At least he will be bigger to me! One of my granddaughters is 15 today and when she came in I played David singing Happy Birthday. It was to “you and you and you”, lol and she said “oh I thought he was singing to me! lol Little did she know that I had a card for her signed “Happy Birthday, Angie! 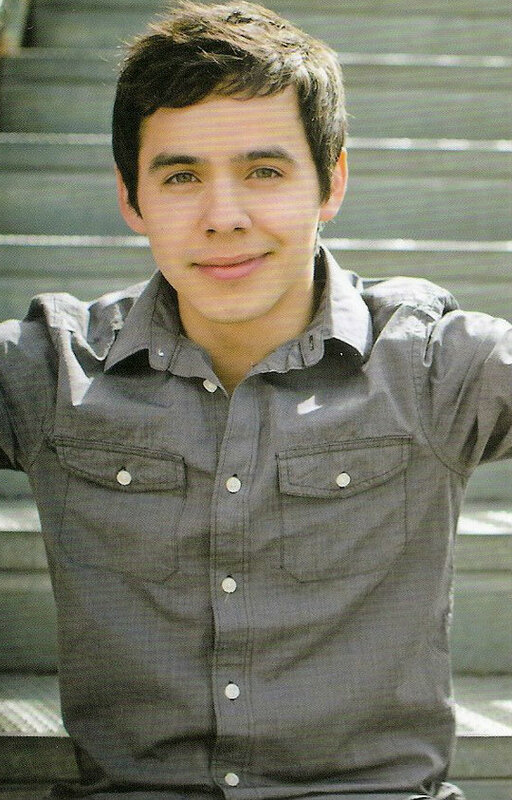 David Archuleta! She was ecstatic when she opened it!! And people wonder why we love him! Just realized that pic of the crowd I posted late last night has Eula and Jasmine cutting up. hah! Welcome and thanks for visiting here! Your tweets are so fun and we are loving the sweet torture! Can’t wait for what comes next in the final week of this epic filming. Speaking of torture. Someone needs to take that camera out of Nareejo’s hand before she kills someone. I mean really. Have mercy! That’s all I got. But there is a fight scene where the girl is saved from an attack by viscous Worlongs by the Elf King who decides to accompany her on her journey to keep her safe. She has no idea that her companion is the one she seeks, the powerful Elf King himself. She only knows that he is more beautiful than anything she has ever beheld, with hair as black as night and eyes, so like jewels, she forgets her purpose and everything she seeks whenever he innocently turns his gaze her way. This girl was at the one of the mall signings and she recorded her exchange with David. He had seen her twitter messages on @MyDearWriter’s phone. What a memory! And some more close up video from JR! I am too weak right now to do any screen caps. Wow, so many goodies!…so little time!! We are sooo spoiled! Scenes I’d like to see…anything with children or animals, haha! I know it’s a dramatic love story, but David just lights up with kids and animals…and of course, music. Hey, but he’s an actor now… so he may be able to “light up” on cue now! Ok, it would also be fun to see him jogging (we know how he loves to run)…hmmm, on a beautiful beach….at sunset…with an adorable stray puppy following him (had to work in the animal)…and there!…in the water…a young child (yes, there’s the child work in) having stayed from it’s mother’s grasp,…and looming not far… is a shark! (Yes, the new year’s resolution). David dives in (fully clothed, haha) and saves the child…charms the shark (he’s been known to win over the most hostile of critics)…and calms the child and mother with a beautiful moonlight serenade…only to finish and hear the cries of help from hundreds of teenage girls in the water who are feigning distress! #76 Just watched all the vids! They are so “up close and personal” that it almost feels like you’re right up there on stage with David! He looks fabulous, and so happy! He can’t help but feel loved and appreciated! Thanks admins, and all those of you in the Phillipines for keeping us posted on all the happenings! Those picture are just pure gorgeousness. Just… you know. And I haven’t even watched a video yet. Angelica, I already love your story and vote that you finish it. 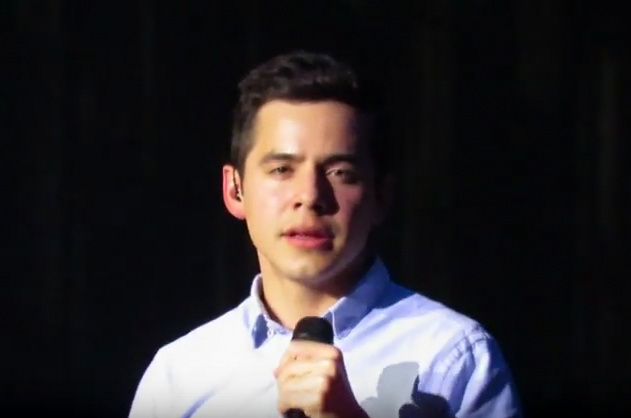 And can I just say that, in those videos, I love how David looks around and waves in all directions to let every fan know that he appreciates the effort they took to come out to the events. He really is a sweetheart and shows how thankful he is for all of their support. Yes Angelica, that pic you posted showed Eula and Jasmine spazzing! LOL And the pic showing the posters that said, “You are my Idol, Josh!” has me wondering if they will use that footage in the miniseries when Josh is onstage, singing. Had to work today so I didn’t get a chance to watch a single video. 😦 That will keep me busy tonight before chat. “A balut is a fertilized duck embryo that is boiled alive and eaten in the shell….Considered a high-protein, hearty snack, balut are mostly sold by street vendors in the regions where they are available. It is commonly sold as streetfood in the Philippines. …In the Philippines, balut eaters prefer salt and/or a chili, garlic and vinegar (white or coconut sap) mixture to season their eggs. The eggs are savored for their balance of textures and flavors; the broth surrounding the embryo is sipped from the egg before the shell is peeled, and the yolk and young chick inside can be eaten. All of the contents of the egg may be consumed, although the white may remain uneaten; depending on the age of the fertilized egg, the white may have an unappetizing cartilaginous toughness. In the Philippines, balut have recently entered haute cuisine by being served as appetizers in restaurants, cooked adobo style, fried in omelettes or even used as filling in baked pastries. Fertilized duck eggs are kept warm in the sun and stored in baskets to retain warmth. After nine days, the eggs are held to a light to reveal the embryo inside. Approximately eight days later the balut are ready to be cooked, sold, and eaten. Vendors sell cooked balut from buckets of sand (used to retain warmth) accompanied by small packets of salt. Uncooked balut are rarely sold in Southeast Asia. In the United States, Asian markets occasionally carry uncooked balut eggs. The cooking process is identical to that of hard-boiled chicken eggs, and baluts are eaten while still warm. Hmmm. Can any of our friends in The Philippines tell us how it tastes? David in three minutes, 52 seconds! “My Kind of Perfect”. About the balut or balot (we use either spelling interchangeably), it does taste good. It’s hard to describe how it tastes, but it is really good, especially the broth. The younger the egg, the better it tastes. I seldom eat one, but I try to eat it when there’s a chance. One week to go and he will be back on your shores… I have at least 1 more in my wishlist (not for me) before David leaves – wish me luck! Best of luck on completing your wishlist. If anyone deserves to have a wish fulfilled it’s you for all that you do for the fanbase. I can eat 2 Baluts in one seating, lol, it is really good, tasty but maybe its an acquired taste. You made me do it!!!!! Thanks to all who stopped in to Unplugged last night for our regular video watching/chat party. We spent a majority of the night examining the mall tour videos (by JR) from Saturday. There were extensive wardrobe discussions involving a certain belt. It was nice to have fenfan stop in from Singapore! Someone asked Angelica if she had more to say about her Elf King story. She said she had written something a few years ago for a contest at Snarky Archies. Its a good read, and one of the first articles published at TheVoice. Thanks Abrra! I enjoyed the chat even though I missed the wardrobe discussion. Re balut – it’s also a Chinese “delicacy”. I remember when I was young, my mother used to cook it. The half-formed chicks would be fried in sesame oil with lots of ginger and a fungus called wood ear. The remaining egg would be made into omelet. Then everything would be doused in lots of rice wine and more sesame oil and made into a warming soup. I think I ate a little! But nobody cooks it anymore here in Singapore. We do eat escargot, sushi and liver – cooked! Looks like they are recording another song in middle picture? JR…On behalf of even just all the younger fans of David, especially here in North America, I want to thank you for the reminder that he will be away for about one more week. His fans will be happy to have him home even if for just awhile. He has been on a tremendous new adventure into the world of acting. We await with anticipation for the return of David the singer/songwriter/actor. Wifey and david jammed wherever you are and david and I just jammed nandito ako. What a blessing! have a good rest of the day everyone! 45-67 Q&A pt 2 – Charm 101! And he has the lethal-should-be-illegal archugaze down to puuurfection. There is nooooo escaping it. 2:51…”it’s more fun in the Philippines”, lol! Wondered that too Abrra… hoping they are recording. Another song for the mini-series perhaps or for later release? eeeek!! These videos are incredible. David looks and sounds amazing. They will be shooting at the beach the couple of days. Wonder what those scenes will entail. February 20th can’t come soon enough. Thank you emmegirl for the link. …and thanks Abrra for the link to Angelica’s story. Her writings reveal a startling connect. Okay… What I hope, is that this song “Wherever you are”, will be used as background in the movie. It sounds like it would be a great accompaniment to the storyline. Especially with a montage of past-present scenes of the woman/child and man/child as they are apart and together. I mean… if they recorded it with both Regine’s and DA’s voices… just sayin’. Can I submit this to “Dear Writer” as my suggestion for a scene? Watched Regine sing “Wherever You Are.” She sings it beautifully. If he records this, it will be his most romantic love song to date. The runs at the end are made to order for his vocal skills and the emotional power he can bring to a song. Hope this is given promo by Sony to the max, at least in the Philippines and throughout Asia. David looks so happy meeting Regine, kind of how we look when we meet him. Regine has a beautiful voice; I should always trust David’s judgment. “Wherever You Are” is ahh so romantic but we’re learning that David is a romantic at heart. Dollars to donuts this song will be in the miniseries. A great time was had by all in chat. I fell asleep in mid-conversation, as usual, but was there until the very end when we all scooted out.It’s always more interesting when new people join in. Last night fenfan from Singapore was there and told us a little more about balut. Seriously- u can’t expect shirt & jeans in a beach scene come on! And the story is set in a tropical country- the possibilities are endless! @MyDear Writer is totally messing with our heads…has finally realized the power he/she has. along with Betsy, or Dak, whose mileage rewards ‘bumped’ me out of first class on the plane ride over. Thank you for the warm welcome…. and just for the record- I am not messing with anyone’s head/imagination… seriously! LOL.